Lisa Murphy, principal at Trafalgar Elementary accepts her third donation for $1050! Principal Murphy accepts a check donation for over $1000 to go toward Priscilla Quintana’s class to buy Science kits and supplies. Also, $100 of this goes toward Mrs. Murphys program of choice for mentioning the program to her teachers. Teachers Can Buy Homes Program is the #1, most celebrated Teacher Home Buying Program created to assist our most valuable asset, Teachers! Through this program Teachers, Educators, Principals, Assistant Principals and any one associated with the education of our youth can benefit. Teachers Can Buy Homes Program was designed to make the home buying process simple, easy, fast and affordable. 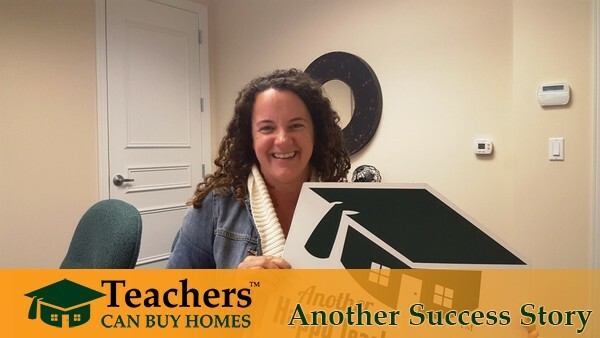 Teachers buying their first home have found great success using this program. Not only do Teachers save substantial dollars when it comes to buying a home, a donation is made back to their school to the program of their choice. Many Teachers choose to have a donation made to their school for academics, arts or athletics. Schools are short on funds to pay for all the programs they want to have. 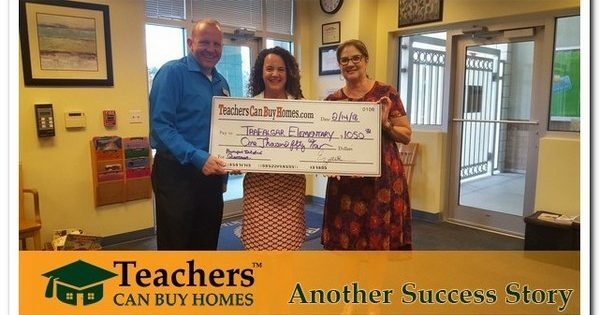 The Teachers Can Buy Homes Program donates $10,000's of dollars annually on behalf of the teachers they help.